When you are in recovery, you do a lot of work focusing on yourself and the ways you can improve your life and your world view to find more peace and happiness. It may seem that recovery is all about yourself, but helping others around you can actually serve to help you too. Here are nine reasons why. A large part of maintaining a solid sense of peace and happiness is remaining aware of the things you are grateful for. Helping those less fortunate than you can help you remain aware of the things in your life that you have, rather than focusing on what you wish you had or what you have lost. As you move through recovery, you may be aware of the thoughts and principles that helped you get sober in the first place, but perhaps they have moved from the forefront of your conscious. Helping someone who is new to recovery can be a “refresher course” in important values and ideas. The better you feel about yourself, the less likely you are to use. Doing something good for another person helps increase your self worth, which does wonders for your mindset. Volunteering for an organization has the wonderful added benefit of allowing you to interact with other people who are interested in becoming a positive force. Successful recovery often means staying surrounded by the right people, so this can be a great way to stay healthy! Becoming engaged in the world in any way can be a great way to find interests you didn’t even know you had. For example, perhaps by taking a friend in need on a hike in their favorite area, you’ll ignite your own passion for the outdoors. It is easy for all of us to become side tracked by the myriad of distractions and temptations we face every day. Helping others is a wonderful reminder that human connection is the most valuable thing we could ever hope to attain. For many people, boredom can become a trigger to use. Boredom is simply what happens when we are not using ourselves to our full potential. 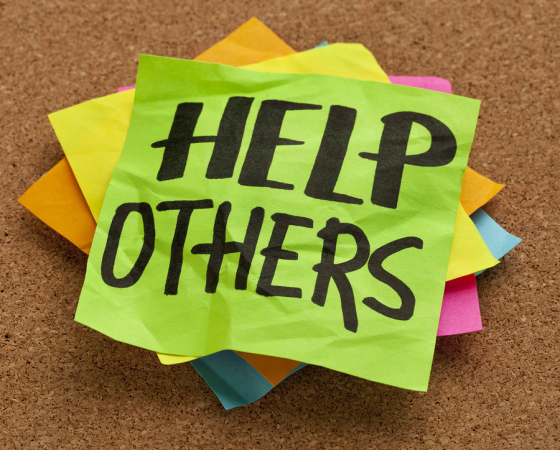 Helping others is a great way to spend time in an invigorating and useful way. Often times helping someone else means getting to witness progress that they make. Watching first hand as someone makes steps towards progress is a wonderful way to remind yourself of the accomplishments you have the ability to make. Becoming exposed to someone else’s struggles can help you be more aware of what others are going through, making you more generally compassionate and empathetic.